I have been waiting to see these since Inman Connect in New York where they announced they were putting the final touches on these and they would soon be sharing them in a national campaign. The campaign has a 60 second and a 30 second version that I have seen. 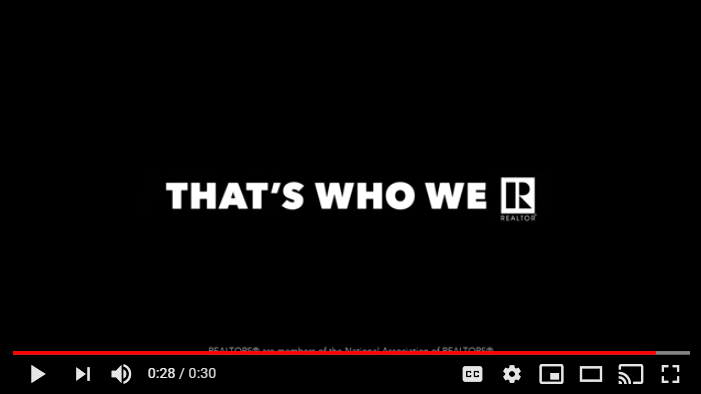 Both versions focus on helping the consumer understand the differences between a Realtor and a real estate agent and highlights what Realtors care about. A Realtor and a real estate agent are drastically different. A Realtor promises to abide by the Associations Code of Ethics and join NAR (National Association of Realtors). The NAR Code of Ethics and Standards of Practice is a pledge of honesty, integrity, professionalism and community service as a true partner for buying or selling a home or property" said John Smaby. 2019 President. NAR. "Encourages us to be community advocates and fight for safer neighborhoods"
"Inspires us to stand up for our veterans so they have a home they deserve"
"That built a relief foundation for families affected by natural disasters"
"Puts ethics at the core of every business decision"
"Fuels us to work with lawmakers to protect property rights"
"Because we believe owning a house is part of the American dream"
"Is what we stand for"
Finally a public campaign about the huge distinctions between a Realtor and a real estate agent. Is it enough to make consumers look for a Realtor as the trusted professional to help them when buying or selling their home. Side Note: A licensed real estate agent is not required to become a member of NAR or abide by the Code of Ethics & Standards of Practice. To become a real estate agent in most states requires a minimum of 30 or more hours of classroom instruction and a needs to pass a an official exam. Keep landing pages simple for easy navigation and remove links to other parts of your website to avoid distractions. Creating killer real estate landing pages is a lot easier than you might think. Pairing effective lead capture with a well-planned marketing funnel helps real estate agents take back control of their lead generation. In this podcast, guest Bo Apele shares five landing page tips he uses to achieve incredible success with this marketing strategy. Listen to the complete podcast interview to learn how Apele managed to win big by investing less in leads from realtor.com and Zillow while focusing on capturing his own buyer and seller leads — and dive into his top five tips below. 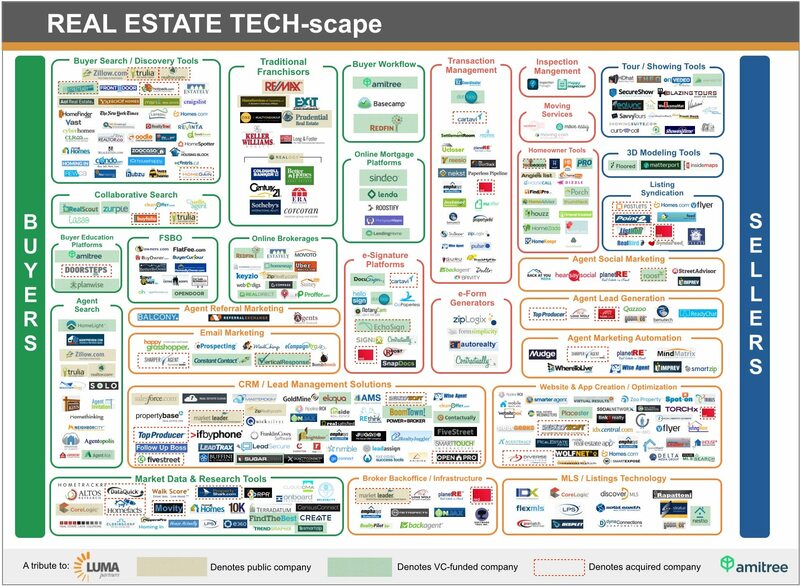 Real estate landing pages don’t need to be complicated. In fact, they tend to capture leads more effectively when they provide visitors with a simple, to-the-point experience. While it might seem strange at first to leave your landing page relatively bare, remember that less really is more when it comes to landing-page design. If you don’t sell your visitors on the value of providing you with their information, your lead generation capabilities will suffer. While you do want to avoid clutter and an overly wordy sales pitch, you don’t want to ignore the fact that your visitors need a reason to give you their information. Offering free market information, homebuyer tips or similar lead magnets will give visitors a good reason to complete your capture form. According to SimilarWeb’s report on the state of mobile web usage, mobile devices accounted for approximately 56 percent of consumer traffic to leading U.S.-based websites in 2015. In 2017 and beyond, there’s little doubt that mobile browsing will continue to grow in popularity. Knowing this, you need to do everything in your power to ensure that your mobile users are presented with a clean, responsive design interface on all of your pages. If your real estate landing pages contain links to other parts of your website, you’re not doing yourself any favors. Removing these links is one of the best practices to improve your lead generation chances. Of all the landing page tips for real estate agents, this is probably the most powerful one: Too many agents limit themselves to one website and one landing page, and they miss out on valuable leads as a result. You, too, might be limiting your lead generation potential significantly if you only have a single real estate landing page. With multiple, you can target different types of prospects more effectively and increase your capture and conversion rates. 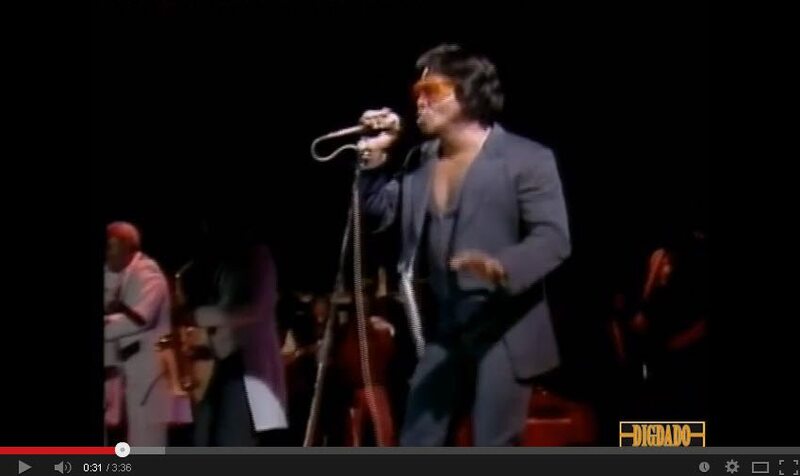 Feeling Good via Mr James Brown – You? With the explosion of social media, most marketing experts would recommend social media as part of an organic marketing approach. The number of internet users is rapidly rising. Worldwide the internet is being used by people of all ages and genders. Undoubtedly the internet has become a major and effective medium for advertising. It is predicted that online advertisement and marketing will soon replace traditional advertising, and media such as television, radio, newspapers, magazines etc. There are lots of advantages that online marketing offers. We are all looking for ways to make marketing more effective along with saving as much money as possible. It costs considerably less than traditional marketing and reaches a wider audience and geographical location which helps it is costs considerably less than traditional marketing and reaches a wider audience and geographical location which helps get better results. Not only able to connect directly to the consumer you can use this platform to also connect to other entrepreneurs and business owners. Social media lets you have real conversations with actual people who might otherwise be inaccessible. Online marketing is convenient for both party’s business owner & consumer. It enables business owners to be open for business around the clock without worrying about the cost of being open or paying overtime. Customers can browse an online store at anytime and place orders when it is convenient for them. 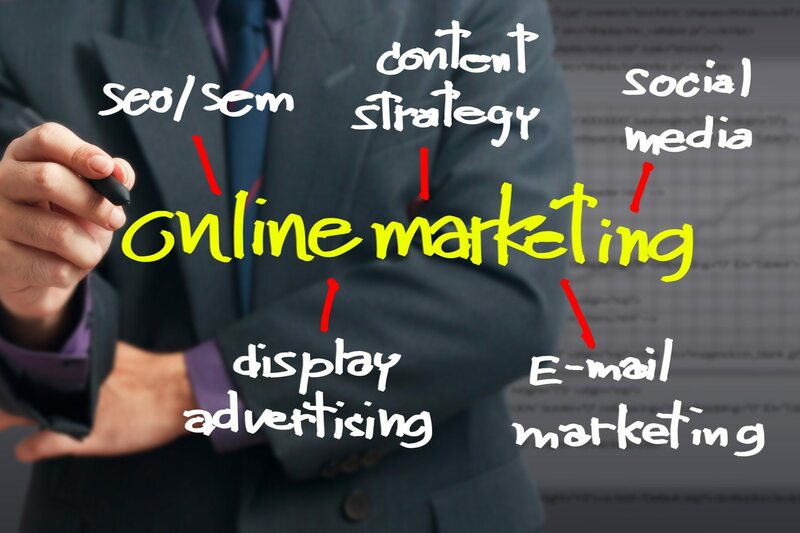 Online marketing encourages clients to take action, visit websites and read about products and services. While results may vary, online marketing will increase the “stickiness” of your marketing message. With traditional advertising it can be hard to know if your sales will be directly impacted by the marketing the business is paying for. Online marketing tracks the campaign and illustrates traffic, growth, leads and sales conversions. In this way it is simple to see the effectiveness of this type of marketing. Or share posted online by a customer is a form of advertising. They can give business exposure that many could not afford with traditional marketing channels. Those are just some of the advantages and benefits of online marketing. Once the advantages of online marketing are explained, it is easy to understand how it can directly increase business and save money. With the explosion of social media, most marketing experts would recommend social media as part of an organic marketing approach. The number of internet users is rapidly rising. Look at the image above! What’s your first reaction? I had this image shared with me via a colleague at the Coastal Carolina Association of Realtors here in Myrtle Beach SC. Just in case you aren’t familiar with my home base. ​How many of the technology items listed have become shiny objects just sitting there in the cloud being unused? I bet its at least one maybe even a few. Your not alone I promise you. Yes, I am guilty as well. This leads me to why the image got me excited and lead to this post. Its the perfect reminder that we are 6 months into 2015. Did your plan for 2015 include using technology? The perfect time to take a look at your results. ​Its the half way mark for your 2015 year, so how are you doing on your goals? Are you on target, ahead of schedule or falling behind. No matter the answer this is the perfect time to still make 2015 your best year yet in my humble opinion. Its great if your on tract, It awesome if your ahead of goal and it’s okay if your behind. The main next step in all these situations is do evaluate and make adjustments to reset your goals and the actions you plan to take moving forward. Ready? Okay your probably not prepared at this moment, so do this first step right now. Open your calendar and schedule a date in the next 7 days for reviewing, resetting your goals and the steps you plan to achieve them​. Learn from the last 6 months and use it moving forward. Whats not working - stop doing that and try another way. Failing or missing your goals is part of the journey. 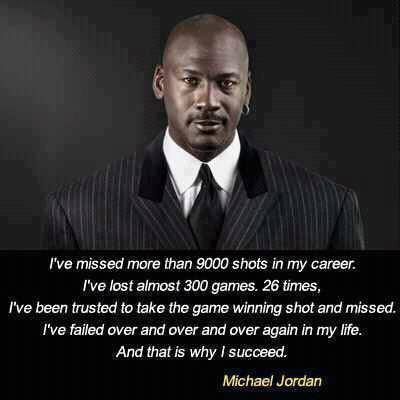 I think this message from Micheal Jordan is the perfect closing message. Just do it! Did your plan for 2015 include using technology? The perfect time to take a look at your results.